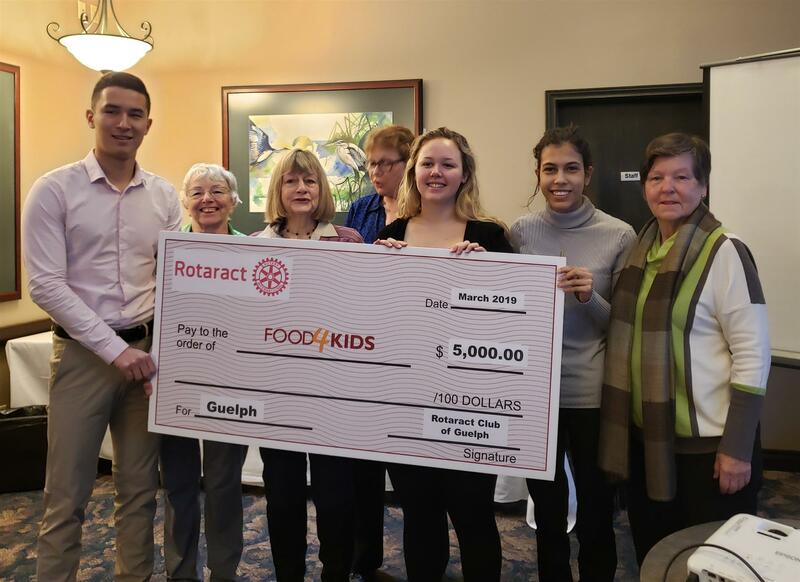 The University of Guelph's Rotaract Club held its annual Gala on March 2nd, and this year selected Food4Kids to be the beneficiary of the proceeds. They attended our weekly meeting on March 21st to present $5,000 how amazing is that?? We are grateful to the Rotaractors for their support of this important project being championed in Guelph by the 4 Rotary Clubs.